Dudley & Associates - Chartered Public Accounting Firm Located throughout Alberta, British Columbia and Ontario. We optimize any situation so that it makes the most sense to you within the rules and has the best impact to you. We work closely with our clients to provide insight and assistance into the financial management, processes, and control of their business. We use the most modern technology available to the accounting industry and pride ourselves in being a paperless office. Dudley & Associates*, Chartered Professional Accountants is a local accounting firm based in Edmonton. Since opening in 1993 our business serves a diversified mixture of business start-ups to large closely held private companies. From our Edmonton location we work with individuals, shareholders and directors located throughout Alberta, British Columbia and Ontario. We offer a range of services that can be tailored for your business. Tools to help you grow and manage your business. Get in touch by phone or email or find our office location. 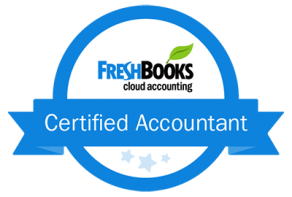 We have designated Chartered Professional Accountants on hand to answer your tough questions when you need it. We can guide you through starting up your business, discuss your current status, or even future endeavours. Give us a call or email today and we would be glad to sit down with you.